PolyTurf has in house crews and certified installers available throughout the United States. 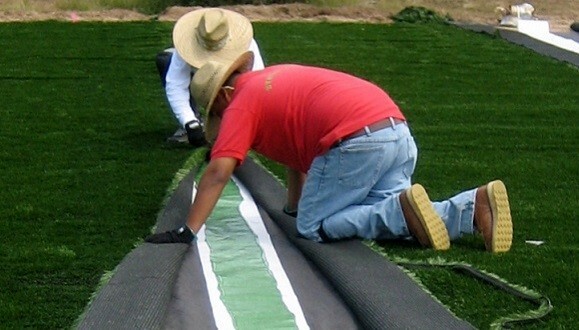 We also supply material only to those who would like to install PolyTurf themselves and are happy to provide support, guidance, and any supplemental materials needed such as seam tape and seam glue. If we don’t have a certified installer in your area, we will do our best to make recommendations and provide guidance while assisting with your material order.